Often thought of as relics of the past -- cute reminders of how things used to be in the old days -- outhouses are still being constructed across America and around the world. Practical and usable, they are elaborately built in many different designs and sizes. Whether one wants to build an outhouse for decorative or practical purposes, the average do-it-yourself homeowner can complete an outhouse project in one to three days. 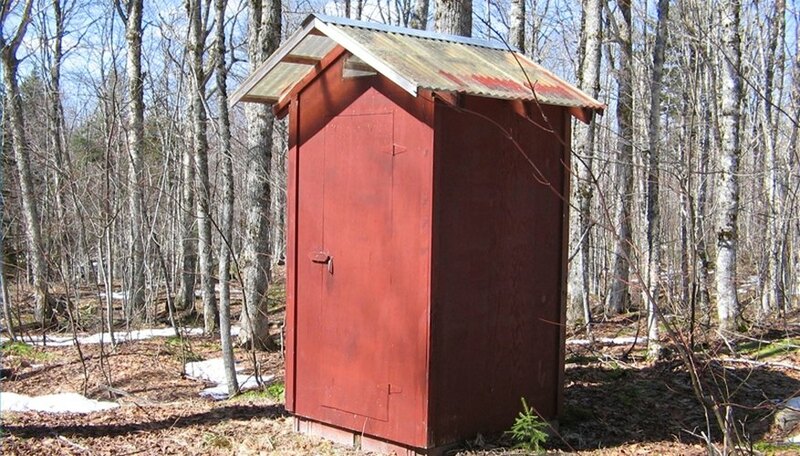 When choosing a location for your outhouse, keep in mind that you don't want to put it so close to your dwelling that you can smell its contents, nor do you want it so far away that it is inconveniently located. Choose a site that is not near a water supply (eg, a well or a creek). Try to face the door toward the home, but consider privacy as well. If possible, place the outhouse in a shady location. 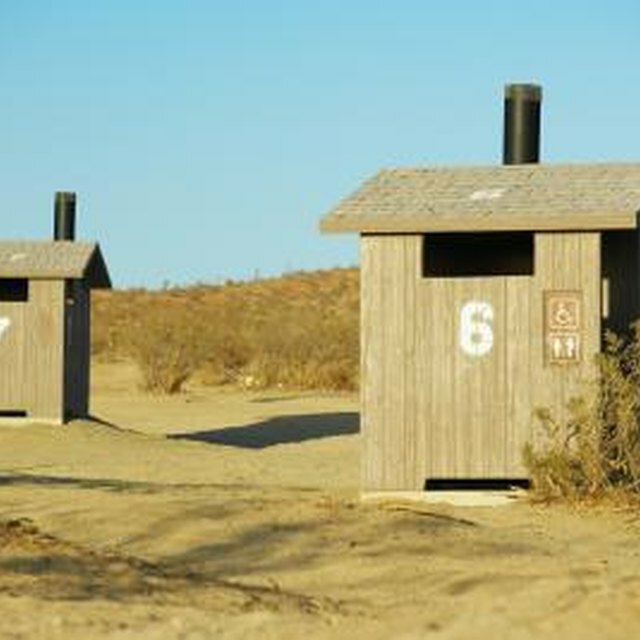 Wherever you place the outhouse, remember to choose a level and solid plot of land. Dig a large hole for receiving waste. The hole should be at least four feet deep and two or three feet on each side. Build a box (without a top or bottom) from treated lumber to be placed into the dug hole; the box will support the dirt walls and prevent the hole from collapsing later on. Build the floor of the outhouse from treated lumber and place it directly over the hole. Ensure that the framing has an opening to allow access to the hole. Build the outhouse with readily available building materials: 2-by-4 framing, exterior wall covering, and roofing materials, such as tin or asphalt shingles. Add an exterior door -- self built or manufactured -- with a lock and handle. A two-inch vent pipe should run from the hole in the ground, through the rear wall, and out into the open; place a rain cap atop the pipe to keep out rainwater. Place a small window high in the outhouse wall for natural light in the daytime. You can also install plexiglass or a skylight in the roof. Build a seat from wood or purchase a special outhouse toilet for the floor. You could install a store-bought toilet, but you will need to provide a water source for flushing it, such as a direct water line to the toilet or a water faucet and a hose, to keep the tank filled with water.